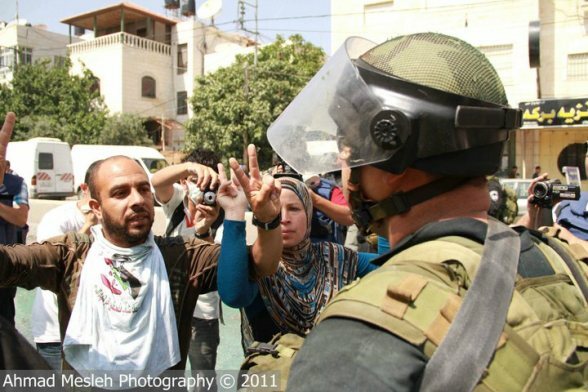 Update: Palestinian imprisoned for flashing the peace sign | The Only Democracy? Khaled Zwahra was detained on 5.6.2011 during Naksa Day protests in Qalandia while blocking an army vehicle that was about to invade further into residential areas of Qalandia. He was taken to Atarot police station (in Qalandia industrial area, operated by the border police), where he was suspected of participating in an unauthorized demonstration and disturbing a policeman/soldier on duty. Only the following day, 2 border policeman – one of whom wrote a report on the day of arrest, incriminating Khaled only for the above mentioned offenses , “remembered” that he also threw sones, and gave a very weak statement against him. Although there are several videos and photographs that show that Khaled was arrested while blocking the army vehicle, and despite the weakness of the border policemen’s testimonies, on June 12th he was indicted and charged also with “stone throwing”. The military court in Ofer ordered his arrest until the end of the proceedings. Khaled’s lawyers appealed against the remnand decision and the on June15th there was a hearing in the military court of appeals. We are currently waitingfor the appeals court decision regarding the arrest, and making an effort to get the decision as soon as possible. The first hearing in the trial itself (reading of the indictment and answering) will take place on July 13th. Update: According to email sources, there was no hearing and the Israeli Army plans to keep into jail at least until July 13th. At that point the detention could be extended up to 100 days. 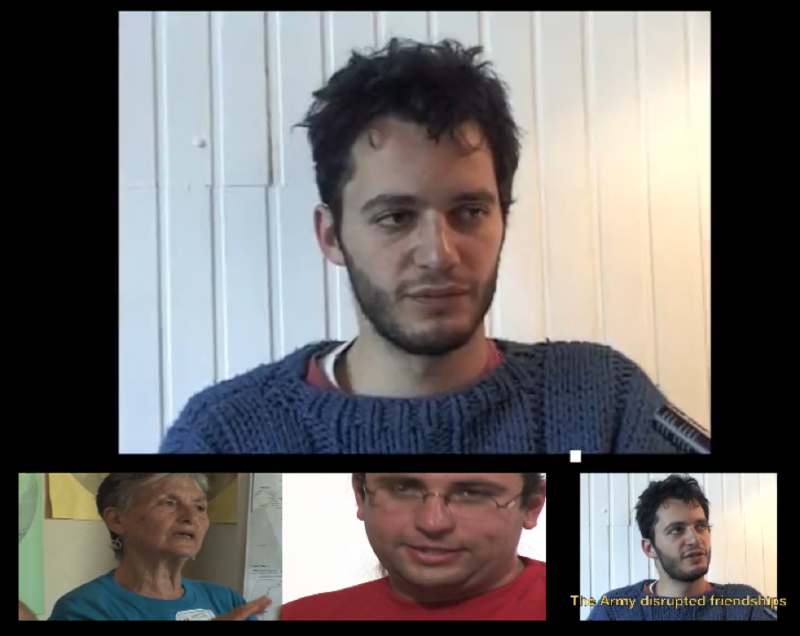 From the Occupied Palestine blog comes this report of another nonviolent activist arrested. Khaled Zawahre was arrested in Qalandia while stopping in front of the Skunk Car he has been detained in Ofer prison and Military court extended his emprisonement with another 101 days of arrest until end of investigation they accused him of beating up a soldier and throwing rocks even though the films show he was standing non-violent infront of the car being skunked ! Earlier on May 15 2011, Khaled also got injured during a similar nonviolent demo and was hit with a rubber bullet and lost consciousness twice from the teargas (HRW May 20, 2011 issue) on the same day, Israel answered nonviolent protesters with great and disproportionate violence which caused 15 deaths.